AMS 8th Graders Go To The Polls – What’s Up With the Wildcats? For this year’s Student Council elections there are two people running for president and two running for vice president. 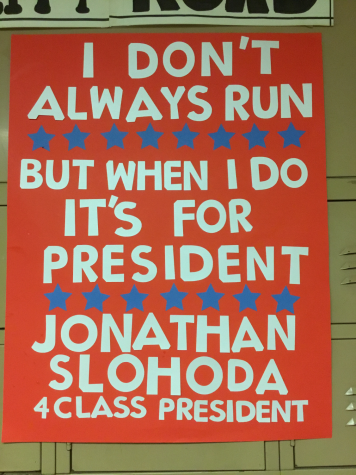 Our presidential candidates include Jonathan Slohoda and Nicholas Abrantes. For the position of Vice President, Ethan Biddulph-Krentar is running against Sophia Vasquez. Jonathan Slohoda says that he feels if he was elected, it would showcase his motivation and also test his leadership skills. Having been in student council the last two years, he also feels a duty to run based on his record. He also felt being student council president would look good on resumes and applications. 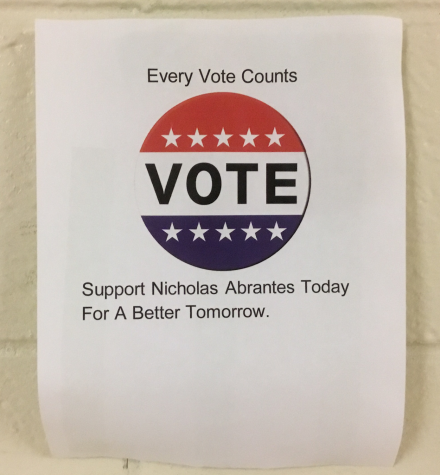 Nicholas’s main goal if he was to be elected as student council president would be to help serve our school community. He would work his hardest to advocate for both the needs and wants of AMS students. He based his objective off of what he believes that student council needs to focus the most on for the 2018-2019 school year. Although just about any eighth grader can run for student council president or vice president, it’s no easy job. While talking to Ms. Chandler, she came up with a list of attributes that you would be likely to find in a successful student council officer. Some of the most important traits would be having a strong presence and being an active listener. Having a strong presence would allow you to be taken seriously at meetings and gain respect from the rest of the student council and school. Active listeners are what just about any person running for office needs to be because a large amount of their job is considering and evaluating others ideas and opinions. Also just as a reminder the Student Council is hosting their Spirit Week starting on October 29. Then on Friday, November 2nd, the last day of Spirit Week, we will be having our obstacle course.